Dylan is a junior majoring in Symbolic Systems and Economics. He very much enjoys playing guitar, listening to music, and reading FiveThirtyEight. 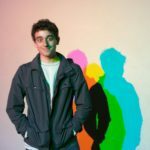 As the Data Visualizations Director for the Stanford Daily, Dylan hopes to offer his data-driven approach to journalism as a vessel for others to navigate the vast, stormy seas of society. He will also usually do so in an overly dramatic metaphor.